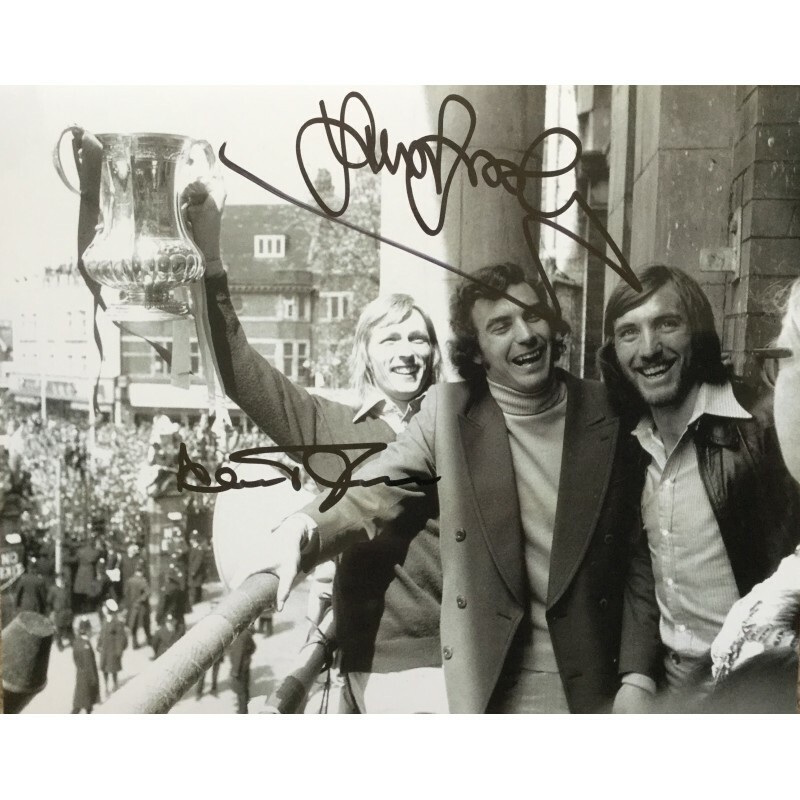 A black and white signed photo of these West Ham heroes. Alan scored the goals in the 1975 FA Cup Final . 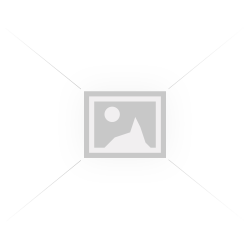 Sir Trevor scored the goal in the 1980 Cup final and Billy was the captain . Billy signed the photo at a private signing on 11/11/2016. 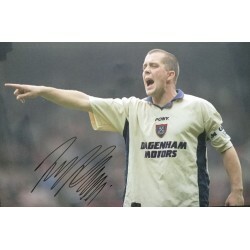 A great signed photo of West Ham legend Julian Dicks . Nicknamed the Terminator . 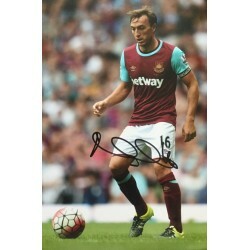 Julian is no..
A signed photo montage of West Ham legend Julian Dicks signed at our private signing with him in 201..